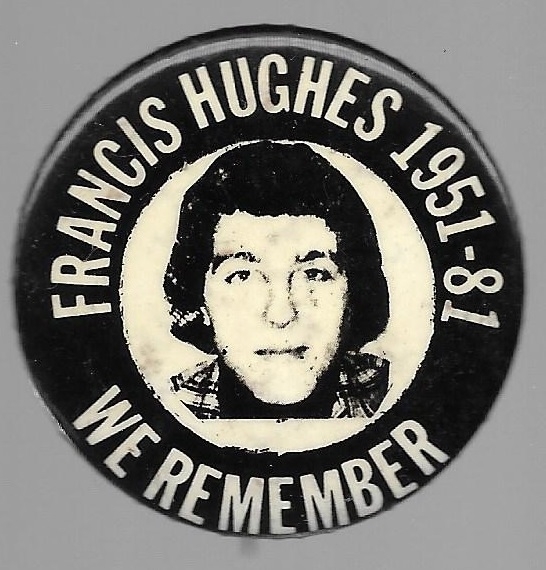 Francis Hughes was an Irish Provisional Army member who was the second hunger striker to die in Maze Prison in 1981. This 1 3/4 inch memorial celluloid pin honors the IRA hero. One note: Hughes actually was born in 1956, the date of his birth is incorrect on this pin. Few light spots as is the case with all of these pins that we have seen.